Our regular partners at Free Range teamed up with us to build a site for the five-part PBS documentary series The Raising of America. We produced an attractive online portal to the show that combines hard-hitting reportage with the ability to easily stream, download, and buy episodes from the series. The site goes far beyond most online destinations for TV shows, with interactive games, educational resources, toolkits, and many other features all included. 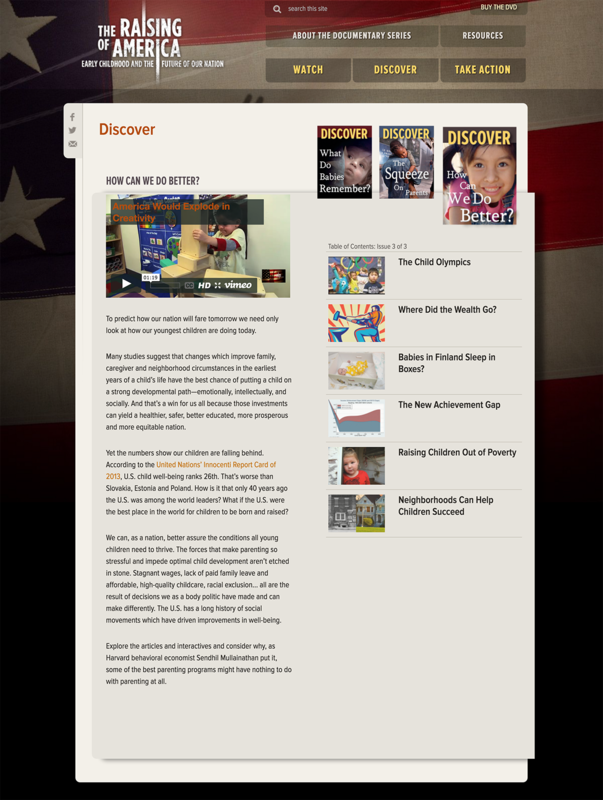 The Discover pages of the site present an easy entryway into hot-button topics the show presents, combining various video clips with text to help flesh out the ideas presented within. 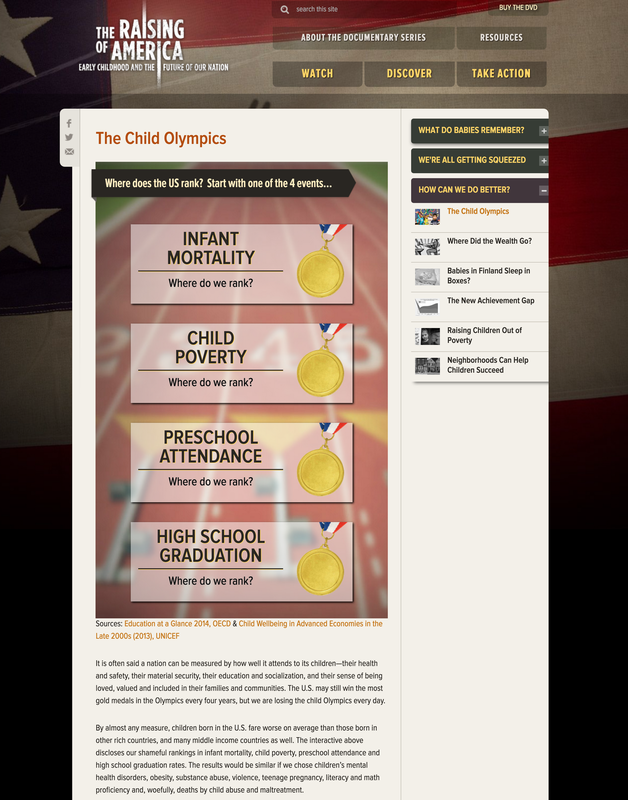 The Raising of America Series is a five-part PBS documentary series that explores the question: Why are so many children in America faring so poorly? What are the consequences for the nation’s future? How might we, as a nation, do better? This was BFC’s first attempt at entering the gaming world, with our usual simple and clear approach provide a neat interface that builds on data provided by UNICEF and OECD.